It’s an unfortunate fact: dogs age. And, much like humans, their age comes with new ailments and health considerations. Dogs also develop frail joints as they get older. However, age is not the only factor that contributes to aching joints. Arthritis, hip/elbow dysplasia, cruciate ligament disease, and other similar conditions contribute to weak joints, as well. A visit to the vet will typically end in a prescription for painkillers and a few physical therapy remedies. Among these are massage, hydrotherapy, and light stretching/exercise. While physical therapy has proven extremely effective for dog joint health, the verdict is still out on prescription painkillers. These can be useful for the initial shock of joint pain, but you shouldn’t allow your dogs to develop a dependence on them. Instead, consider accompanying your pet’s physical therapy efforts with some natural supplements that have been known to aid in joint pet health. If you notice any of these, it’s likely your dog is having pain in their joints. 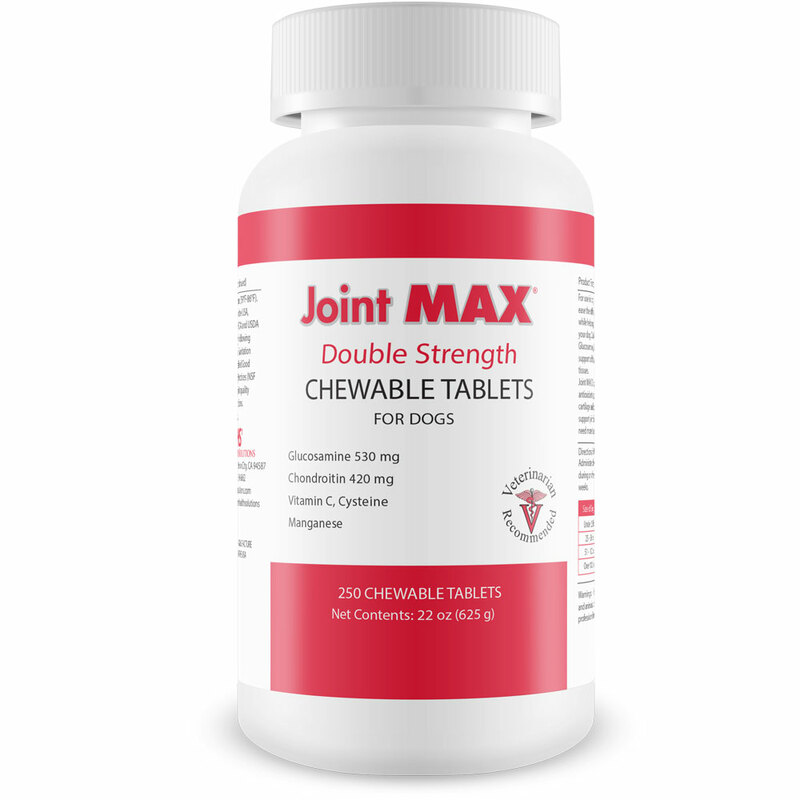 Some of the supplements recommended for joint pain in dogs are not very different from those recommended for humans dealing with arthritis. There are a number of supplements you can turn to, or even use in conjunction. Glucosamine is an amino sugar that can be found in the healthy cartilage of your pet’s joints. This substance produces glycosaminoglycan, which repairs cartilage and tissue. With age, your pet’s body produces less glucosamine, which leads to decreased reparative capabilities. However, glucosamine supplements can be purchased from most retailers to revamp this process in your pet’s body. The best part is that side effects as a result of glucosamine supplements are very rare, and in most cases, they eliminate the need for nonsteroidal anti-inflammatory drugs (NSAIDs). NSAIDs may be prescribed for your dog, and carry numerous potential side effects. Glucosamine restores the reparative abilities of your dog’s tissue and cartilage. A study conducted by the University Of Illinois College Of Veterinary Medicine showed that glucosamine slows the enzymes responsible for destroying animal cartilage, therefore inhibiting the joint decay caused by osteoarthritis and similar conditions. Glucosamine is available for dogs in the form of flavored tablets, pills, powders, or liquids that can be administered orally directly, or by being sprinkled into your dog’s food. Consult with your dog’s vet for dosage recommendations. The best part about turmeric is that it is virtually tasteless. However, it’s important to note tFhat it is not easily absorbed on its own in the body, so it is best sprinkled on food or baked into a tasty treat. Turmeric should be slowly introduced into your dog’s system, starting with low doses and working your way up. Turmeric is best known for its anti-inflammatory qualities, with research showing it to be more effective than ibuprofen when used to cope with arthritis pain. The recommended dose of turmeric for your dog will depend on their weight. Below is a size/dosage guideline to help you determine the right dose for your pet. In addition to turmeric’s anti-inflammatory benefits for ailing dogs, it’s also a common cancer treatment. There are plenty of tasty turmeric recipes that will make introducing the supplement into your dog’s diet a piece of cake. Well, not literally. It’s important to note that, even though many people associate CBD (cannabidiol) with traditional cannabis, it is not psychoactive. CBD does not contain the THC that is found in marijuana and gives it mind-altering effects. The sole purpose of CBD is to gain relief and relaxation without the “high” of regular marijuana. CBD typically comes in the form of oil, which can be dropped onto your dog’s food for easy consumption. Its ease of consumption is nothing compared to its far-reaching benefits, however. CBD oil is known to reduce inflammation and act as a natural pain-killer, reducing your dog’s suffering. It also helps increase their appetite, which will allow them to regain their strength. Most importantly, however, CBD reduces anxiety – a major co-conspirator of pain. Increased appetite and decreased anxiety will make it easier for your dog to return to their regular routine and enjoy life to the fullest. Among other things, CBD is known to prevent and kill cancer, reduce seizures and epilepsy, improve bowel health, and promote cardiovascular health. In the 21st century, CBD oil is pretty much as close as you can get to a miracle cure. Furthermore, despite federal marijuana laws, CBD oil is perfectly legal and safe in all jurisdictions. This is a result of the fact that it is derived from hemp oil. Nonetheless, not all CBD oil is made the same. As with anything, shop around before you settle on a specific one. Buy organic to avoid the presence of pesticides. And, as a guide, the pricier the better. Chondroitin supplements are usually administered alongside glucosamine for preventing joint deterioration. Much like glucosamine, chondroitin is a substance found in animal cartilage that decreases with age. While glucosamine is responsible for repairing cartilage and tissue, chondroitin is responsible for blocking the enzymes that cause cartilage deterioration. In other words: chondroitin blocks the bad guys, while glucosamine goes in to fix the damage. 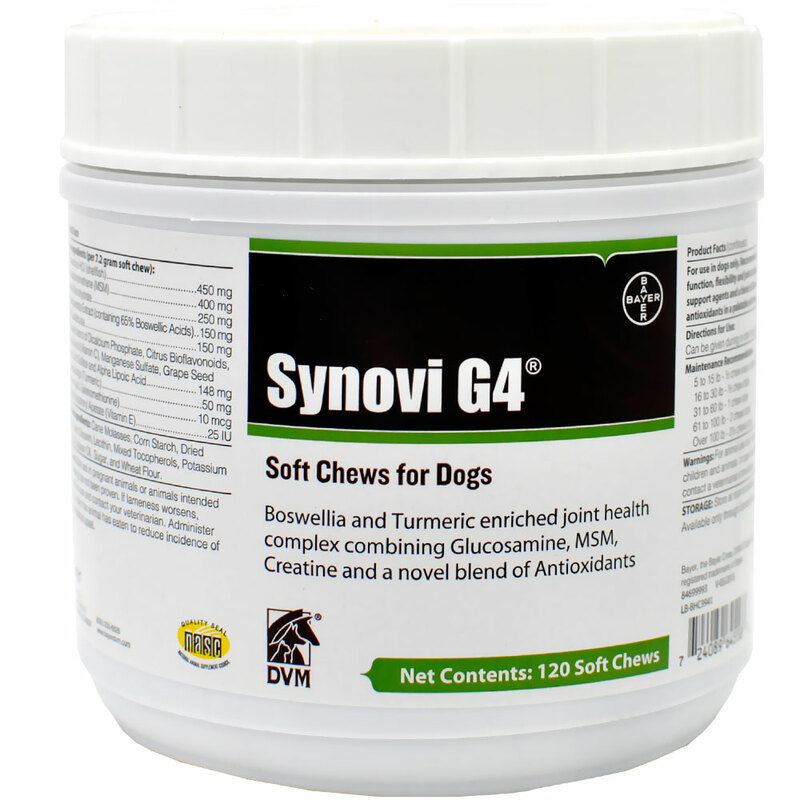 Chondroitin is primarily used to treat osteoarthritis in dogs and works best when used with glucosamine. In fact, when administered together, your dog’s body can absorb the substances in as little as two hours. While the jury is still out on the ideal dose of chondroitin, research indicates that 15-30mg/kg is the suggested amount. Additionally, it’s important to note that it could take 2-6 weeks for the impacts of glucosamine and chondroitin to become evident, as these substances need to build up in the body to take effect. Fish oil supplements are effective because they contain omega-3 fatty acids. These fatty acids act as anti-inflammatories and carry countless benefits. In addition to reducing inflammation in your dog’s joints, they help restore shine to their coat and improve their cognitive functioning. Fish oil is typically sold in capsule form, which could pose a problem to dogs that refuse to swallow capsules. In that case, cut open the capsule and pour the liquid fish oil over your dog’s food. 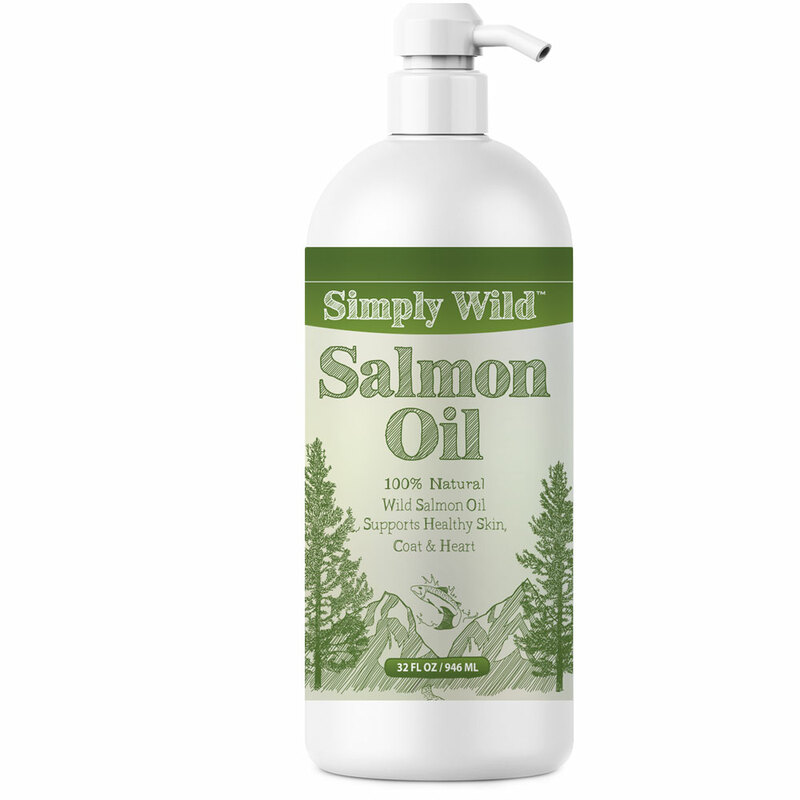 The fishy aroma will seem appealing to your pet and cause them to dive right in. When choosing a fish oil for your dog, seek out an ethyl ester oil. 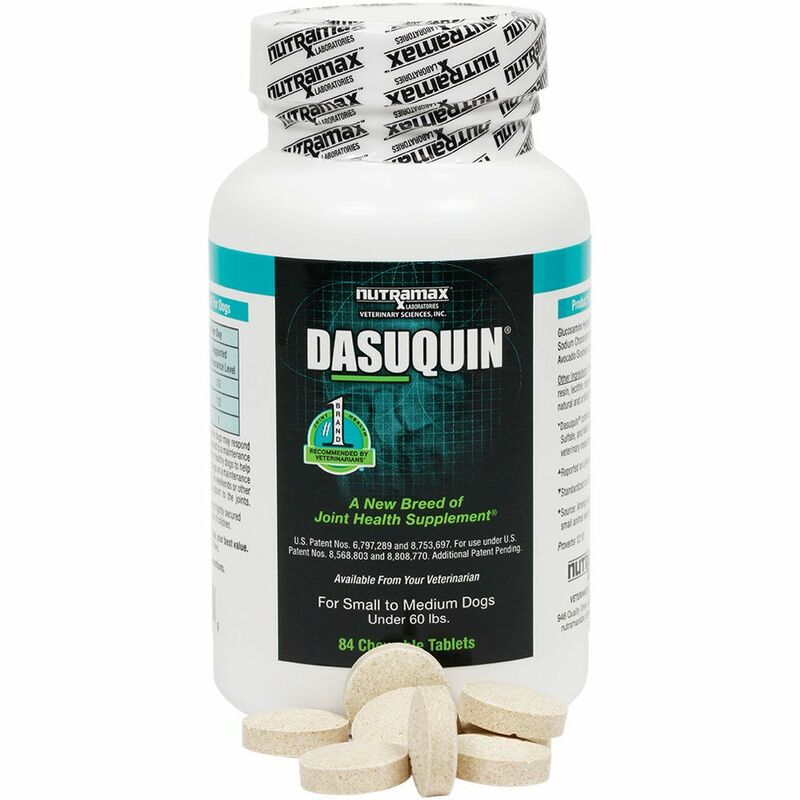 It is easily absorbed and contains the least contaminants and impurities, making it an ideal source of omega-3s. You should always consult a veterinarian before administering supplements to your pet, as dosages often vary based upon your pet’s breed, weight, and overall condition. Furthermore, you should ask for any advice possible to steer you in the direction of quality pet supplements, such as specific brands you can trust. In addition to this, you should always seek out products that are labeled as being USDA certified organic. This means they won’t be contaminated with pesticides or other processed ingredients that could potentially worsen your dog’s condition and cause gastrointestinal problems. If you feed your dog homemade food, supplements become essential. While homemade dog food is sure to make your pet happy and contain less processed ingredients than store-bought dog food, it often lacks the vitamins and minerals they need to flourish. A healthy supplement regimen to accompany their home-cooked diet is ideal. With an estimated one in five dogs over the age of seven suffering from arthritis, every owner should know how to care for their pet’s joints. Even if your dog doesn’t suffer from any ailments, you never know when an injury will require restoration to a joint, bone, or tissue. With the right dosage and right combination of supplements, your dog likely won’t need prescription medications to get them on their way to feeling better. After all, while prescription painkillers may mask the problem, they do nothing to treat the source of it. The road to recovery starts by addressing and treating the problem directly. Like humans, dogs can live a long and fulfilling life with the help of a few extra vitamins and minerals – much to the delight of their loved ones. Ellie Batchiyska is a writer for Handicapped Pets, a trusted source for pet wheelchairs, harnesses, back braces, and all kinds of products for pets with mobility issues.